Recently, The Labor Department’s Occupational Safety and Health Administration (OSHA) announced the Top 10 Most Cited Violations list for 2016. To a devasting lack of surprise, Lockout/Tagout, or LOTO, was ranked fifth in the lineup of safety desecrations. What is LOTO? 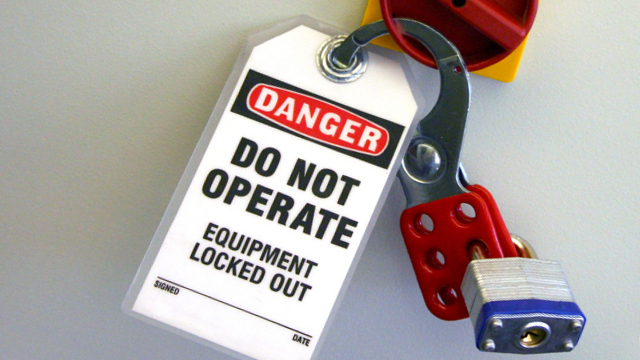 Lockout/Tagout practices are precautions that safeguard workers from hazardous energy releases during construction, maintenance, and demolition. Specifically, these practices are critical in preventing machinery or equipment from hazardous energy release during the servicing of the equipment. The current OSHA standard for LOTO became law in 1989. In the 25 years since OSHA adopted the LOTO standard from the American National Standards Institute (ANSI), the industry has significantly expanded upon them on various fronts. 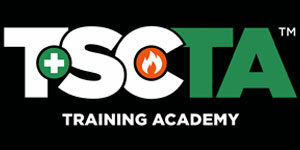 Along with various training requirements for site safety, LOTO practices and standards are among the topics discussed and covered in training facilities across the Tri-State area, including ours. But the modern regulation of self-reports has brought a spike of LOTO violations to OSHA’s attention, and the rise in accidents and the subsequent rise of lives, penalties and lawsuits is directly related to three factors. Hazardous energy is defined as any electrical, mechanical, hydraulic, pneumatic, chemical, nuclear, thermal, gravitational, or other energy that can harm personnel. Stuff no one wants to be exposed to. So then why is it in the top ranking of violations, LOTO accounts for 10% of the serious accidents in most industries? Well, it’s a combination of a lack of focus, awareness, and enforcement on the jobsites. One of the most significant factors is the lack of employers upholding or enforcing the OSHA standard or misunderstanding what that standard is. As it is continually revised every five years to keep it relevant to the changing workforce, many employers aren’t prioritizing keeping up with those standards or enforcing their employees to uphold them with training courses and renewals that are affordable for everyone. That lack of attention became more apparent with the realization that even when employers are enforcing the standard, a majority of them only focus on one type of hazardous energy safety precaution, usually the most likely to occur on the jobsite. While on paper it may seem more efficient to have workers trained for the very risk they may face, the OSHA standard listed above names various types of hazardous energy. If exposure to an uncommon energy is pulled onto the job site for any reason, and the workers cannot prep themselves for that risk, then under the standard they are still considered to be untrained. Workers should not only be trained for the expected, but the emergency and unpredictable with a verified training course certificate. But certifitraining personnel isn’t enough, either. Employers are also not carrying out annual inspections and having discrepancies in their written audits and the actual procedures on site. With more than 2,500 amputation injuries being reported every year correlated to LOTO violations, those reports now have a higher chance of OSHA doing an on-site investigation. Last year, such inspections have lead to penalties over $55 million dollars. Lastly, employers aren’t making sure that all necessary hired staff have received the training. Temporary and independent workers aren’t being held to the same requirements as unionized and firm workers, leading to an uneven team with a higher risk of injury. Bear in mind, it is both the responsibility of the Site Safety Manager and the employer to ensure employee licenses, certificates, and other verification are valid and up to date as required. Just as there are penalties for untrained workers on the site, there’s also penalties for hiring workers with false OSHA cards or encouraging any form of verification fraud. The entire purpose of the OSHA and the predetermining ANSI standards is to keep workers safe during their jobs. According to a recent study, compliance with safety procedures are the most effective means of minimizing accidents. So what now? If you are an employer or manager, make sure your staff is trained and prepared for the work in compliance of OSHA’s standards. Check their certifications and make sure they are up to date. Keep your conscience clear, reputation intact, and most importantly your people safe by taking, enforcing, and complying with OSHA LOTO standards. Better to be certifiably safe, than sorry.